Left-footed midfielder with Barça DNA. He has excellent vision and a good shot. Álex Collado was born on April 22, 1999 in Sabadell. Gimnàstic Mercantil and Espanyol were two of his youth teams before arriving at La Masía. From Barça’s U11B side, Collado progressed through the ranks and made his debut as a starter with Barça B on March 17, 2018, against Lorca. 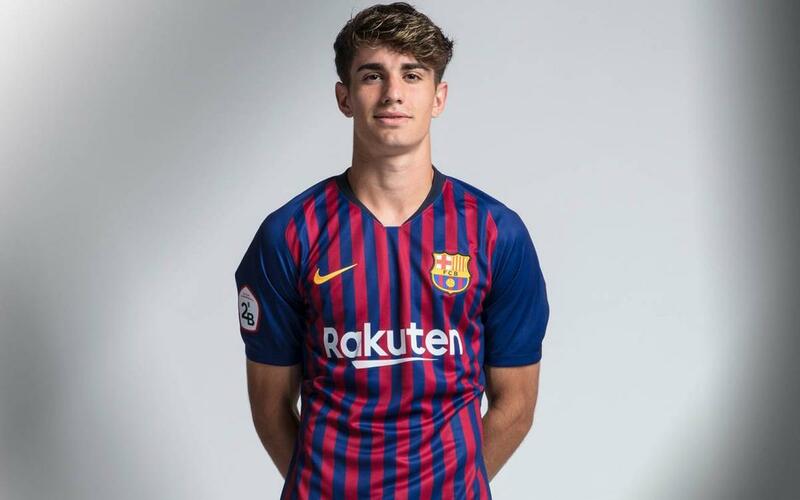 Predominantly in the U19A side during 2017/18, a season in which he won the Youth League and the League, he also played intermittently for Barça B.
Left-footed midfielder with Barça DNA. He has excellent vision and is a superb reader of the game. Very good at selecting the right option when passing, he’s also very skillful when attacking, has a great shot and is difficult to beat in one on one situations.